By 1912, several of the initiatives with which the OSA had for so long concerned itself began to bear fruit. 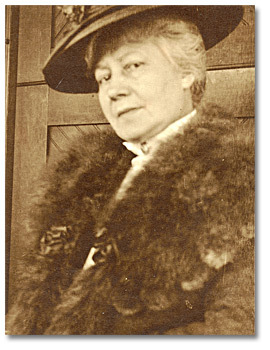 The establishment of a permanent art gallery had become possible with the bequest by Mrs. Goldwin Smith, on her death in 1909, of her home, The Grange, which became the Art Museum of Toronto. The addition of new galleries to the north of the old house further expanded the Museum. They officially opened on April 4, 1918 with many OSA members in attendance. Also in 1912, the Central Ontario School of Art and Design was granted a charter by the provincial government for the establishment of an art college. With the endowment of a large grant, the school was totally reorganized and renamed the Ontario College of Art. Classes at the new college were held in the Normal School Building on Gould Street and George Reid was appointed its first Principal. In the meantime, the government had also made the decision to close the picture galleries in the Educational Museum. 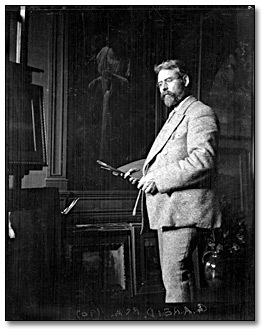 With the closure the OSA purchases (along with the artworks amassed by Egerton Ryerson over 50 years before) were distributed among the province’s six Normal Schools (for teacher training). A number of factors could have influenced the minister in making this decision, not the least of which may have been the ongoing discord that seemed to mark the relationship between the government and the Society. 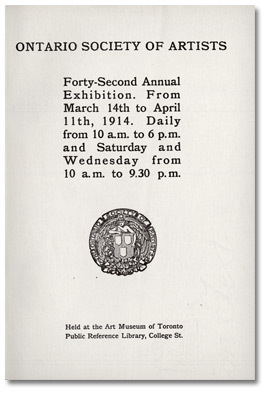 Another factor may have been the government’s support for new institutions that broadened the opportunity for the public display of artwork with the establishment of the new Art Museum of Toronto and the Royal Ontario Museum in 1912. 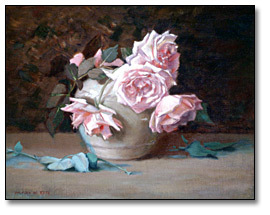 The cancellation of the government’s arrangement with the Society did not end the art purchases however. For the years 1913 and 1914 an additional twenty-three paintings were selected by a special committee struck by the Minister of Education. 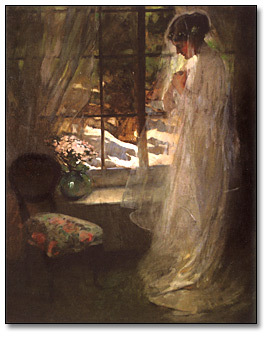 The paintings were chosen from the OSA annual exhibitions of 1913 and 1914 and from the Canadian Art Club exhibition of 1913. These works were also distributed among the province’s Normal Schools. 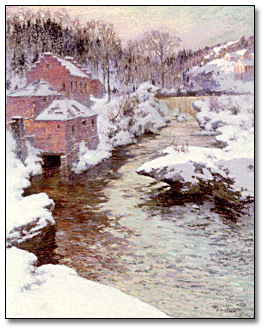 Although only six of these paintings remain in the collection today, they include a very fine winter scene, The River Magog by Marc A. Suzor-Côté, Arthur Lismer’s, The Clearing and Florence Carlyle’s, The Threshold. 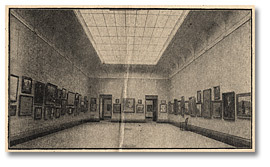 With the purchases of 1914, the government’s program of art acquisitions from the OSA came to an end. While it may have been motivated by the changing priorities of the war years, the reason for the cessation of the purchasing program is unknown. Nevertheless, a total of 167 works by over 60 artists had been acquired by the government. Unfortunately, with the distribution to the Normal Schools, few records were kept and over the ensuing years the whereabouts of many of the works has become unknown. Some paintings were no doubt lost or discarded. 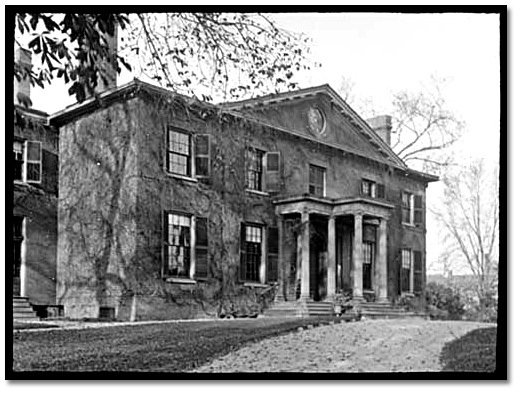 Some were known to have been destroyed, including many at the Hamilton Normal School which suffered a fire in 1953. The Normal Schools were renamed teachers’ colleges in 1953 and in the late 1970s these colleges were absorbed by university faculties of education. While some of the existing artworks were returned to the government at this time, others were donated to the province’s public institutions. Beneficiaries included Nipissing University College (now University) in North Bay and the Art Gallery of Peterborough. 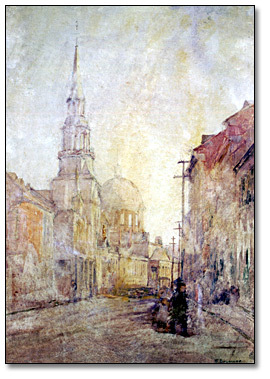 In 1972 a particularly significant gift of artworks was made by the Ontario government to the Art Gallery of Ontario. Of the twenty-one works donated, eight had been purchased from the OSA exhibitions. These included Northern Lake by Tom Thomson, Lords of the Forest by Lucius O’Brien, Morning Shadows by J. E. H. MacDonald and The Tiff by Florence Carlyle. Only 43 of the original OSA purchases are known to be in the collection today. The majority of these are hanging on public display in the halls of the Ontario Legislature at Queen’s Park. 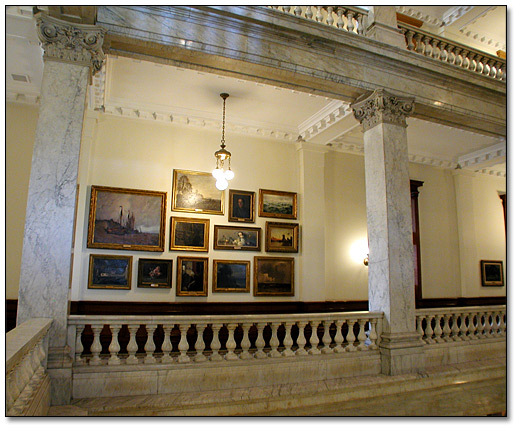 A Contemporary View of the Ontario Legislature, Queen's Park, Toronto showing a selection of the artworks purchased by the Government of Ontario from the Ontario Society of Artists, 1875 -1914. Taken as a whole, the artworks acquired by the government during this period span almost 40 years of Canadian art history. They reflect the evolving nature and growing sophistication of the province’s cultural activity. They reveal also the role women artists came to play in Ontario’s artistic life. 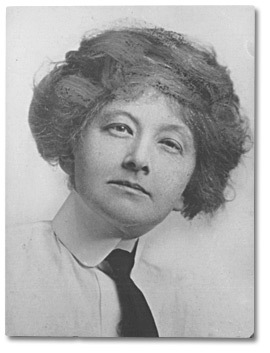 Beginning around the turn of the 20th century women sought the same level of training and experience in European schools and capitals as their male counterparts. Although admitted to the Society from its early days (but not allowed to vote at meetings), participation by women artists gradually increased and between 1875 and 1914 membership by female artists had risen from two to nine. 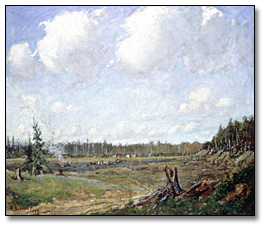 A number of works by future members of the Group of Seven were also acquired. Had the program not ceased it is quite possible that works exemplifying a Canadian rather than a European tradition would have come to dominate the collection. 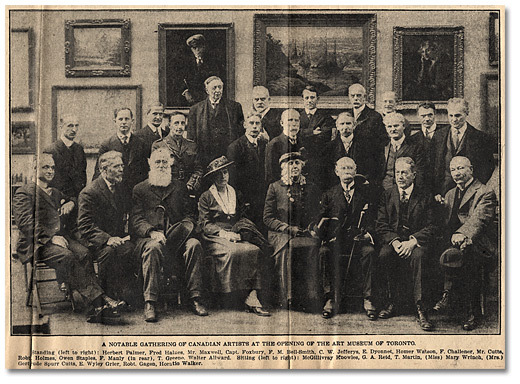 Today, the Ontario Society of Artists has a membership of almost 200 artists. It continues to hold open juried exhibitions at the John B. Aird Gallery in Toronto as well as a full slate of member exhibitions in different venues throughout the province. The Society publishes a regular newsletter and also maintains a web site to promote its history and current activities. The Canadian Illustrated News, May 3, 1873. Radford, J. A. "Canadian Art and Its Critics". The Canadian Magazine, vol. 24, no. 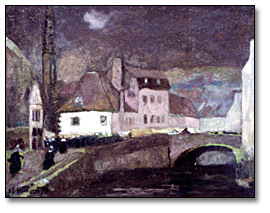 6 (Oct. 1907).